San Juan native trying to become first Caribbean driver to start a Sprint Cup race, as Mike Hembree reports in this article for USA Today. The word for the weekend, according to Victor Gonzalez, is surreal. 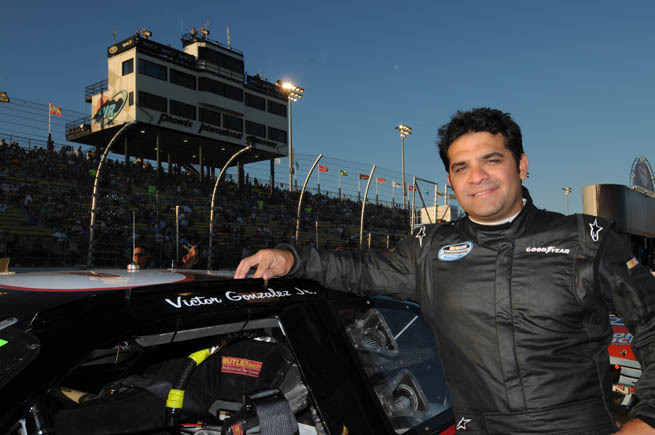 Gonzalez, 37 and a native of San Juan, P.R., is scheduled to drive in Sunday’s Toyota/Save Mart 350 at Sonoma Raceway, an appearance that will make him the first Caribbean driver in Sprint Cup history. Gonzalez, who moved from Puerto Rico to Santo Domingo, D.R., last year, is driving this weekend for Tommy Baldwin Racing. He also is scheduled to drive the TBR No. 36 Chevrolet at Watkins Glen International, the only other road course on the Sprint Cup schedule, in August.